Happy New Year one and all! We’ve now rung in three new years as a quartet and it’s pretty amazing to think about the cool, mysterious, amazing future that lies ahead of us in 2014. In 2013, we welcomed two new Epic babies to our universe, gave birth to our own collective baby (It’s Epic CD), brought home from Windsor four shiny new crowns (eek!! ), and launched one amazing chapter of Harmony, Inc.–Bella Nova. Some things in 2014 are known…. we know that we are going to travel to some really cool cities for shows with our Harmony, Inc. sisters. We know that we are going to sing one of the biggest gigs we’ll probably ever have–the World Harmony Jamboree at the Barbershop Harmony Society’s International competition in Las Vegas. We know that we’re going to be competing for the first time with the Bella Nova babes. And we know that we’re going to to be able to sing an Epic song (the one we introduced to the Queens’ repertoire) with the Association of Harmony Queens in Louisville! But the truly fun part is the things in 2014 that remain in the realm of unknown. Will there be any more Epic babies joining our family? (Not that we know of, at the moment!) How many more body parts can Anne break? How many hospitals will we have to visit in how many cities before our insurance policies give us the boot? How many CDs will we sell? How many pairs of shoes will we buy?! And more importantly…how many children will we teach? How many women who dream of someday wearing the crown will try ours on? 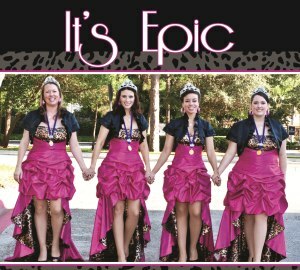 How many new friends will we meet as a result of being a part of this whirlwind experience we call Epic? As the year unfolds, you can be sure that we’ll keep you posted on all of those “unknowns” that we come across. Though the specifics are uncertain, the journey is always filled with love and a ridiculous amount of laughter. 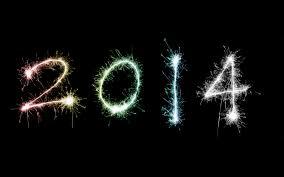 So with that, we welcome 2014! We’re looking forward to seeing what kinds of epic experiences we’ll add to this blog in the next 12 months. For all of our friends, family and fans, we wish for you the happiest of blessings for 2014!